The first Laikakennel in the Netherlands, with over 20 years of experience (1987), is since 2002 together with Laikakennel: Legend of Flaxfield in Belgium. Chris and Joep van de Vlasakker Eisenga, moved from Leersum, in the centre of Holland, to Merselo and Belgium. 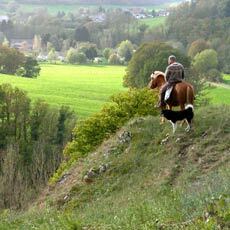 There at their country estate ´Spineusart`, in the valley of the Lesse river, men and animals have found their space in their forest and pastures. Arctic Legend as the first Dutch Laikakennel imported (with help from good friends like Chris Janelli and Erna Anthonis) the first Laiki in the Netherlands, also from Russia (Tom Siberia 1987).The dogs from this kennel are well known for their excellent character, working abilities and exterior qualities, with a lot of national-, international-, European- and several World championships (6 worldchampions, and 10 in their descendants), all recognized by FCI. The Laiki from this kennel were pioneers in the Netherlands in many different disciplines (sled dogs, agility, tracking, hunting etc.) Their descendants and imports done by this kennel are the basic of all Dutch Laika breeders (2010). Flaxfield, breeded and imported, from land of origin, working English Springer spaniels.They became well known and obtained many national- and international fieldtrailchampionships.This kennel also produced several ´dual-purpose dog of the year` dogs (combination of show- and working quality).The Flaxfield dogs and their descendants are also nowadays still known for their good exterior and excellent working abilities and characters. Joep, who works as ecologist, is a hunter and falconer and has a lot of experience in training hunting dogs (game dogs) and field trails. He trained the first Dutch Laika as tracking dog and Arctic Legend Biryook was successful in hunting test and became first and only Laika on the official tracking list. Because of his years of experience in field wolf research, Joep gained a lot of knowledge in the behaviour of wild canines. Chris, professional artist and writer, is certificated AKK and exterior and movement judge (recognized by the Dutch FCI kennel club) and behaviorinstructor, has medical experience because of her work in the veterinary clinic. She trained dogs in obedience and trained sled dogs since 1984. Amongst other activities they both gave lectures and classes in dog- and wolfbehavior. Regulary they participate at international canine seminairs and keep worldwide in touch with different scientist and ethologists in canine behaviour. 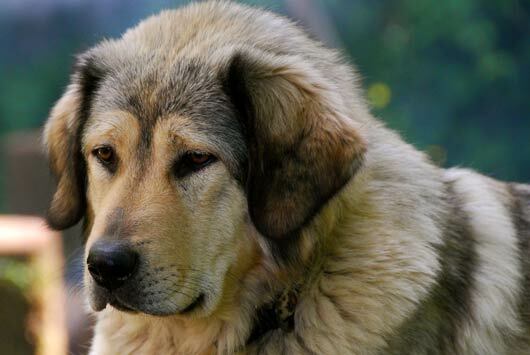 Since 2003 the kennel is expanded with another primitiv dogtype the Tibetan Mastiffs Ckamadugha and Mimayin.